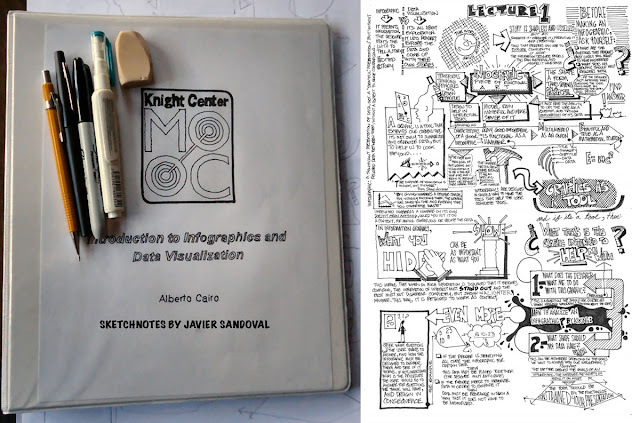 Javier Sandoval (@TrazaDigital), one of the participants in my first MOOC, has given me permission to share the visual notes that he took while watching the five video lectures that are at the core of the course. Together, his illustrations work as a visual essay, a wonderful summary of the main theoretical concepts. At the end of the document, Javier added some thoughts and tips about sketchnotes, a trend that seems to be booming. Download Javier's notes here (PDF).